While it may not be the first place people think of when a vacation to Australia is on the cards, Cairns is an incredible holiday destination to explore with a van rental. This tourism-rich city is smaller than the big draw cards like Melbourne and Sydney, but in a lot of ways, Cairns has so much more to offer! Here, you can experience a city with a small town feel, and embrace the advantages of the location of Cairns – tropical reefs and tropical rainforests are both so easy to reach! 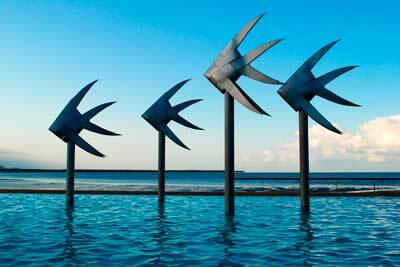 The laid back, relaxed feel of Cairns will likely appeal to anyone on vacation, and why not?! Visit Cairns like you don’t have a care in the world, because, when you’re there, you won’t. Before we even start to talk about the Great Barrier Reef or the Daintree Rainforest, let’s take a few minutes to explore the city of Cairns itself. While completely set up as a tourist city, Cairns still has a genuine, real-Australian feel to it. Cairns is the definition of relaxing – here you can enjoy an abundance of sunshine, great shopping, an abundance of fresh seafood and delicious cocktails on balmy, tropical evenings. However, if you’re prepared to get your feet wet, Cairns has so much more to offer. The Great Barrier Reef is the world’s largest coral reef system, stretching 2600 km (1600 miles) down the north east coast of Australia, and is even visible from outer space. The reef is the world’s largest single structure composed of and made by living organisms, and is home to over 12,000 species of marine life, including 1500 species of fish alone! One of these species is of course everybody’s favorite – Nemo the clownfish! The Great Barrier Reef is a fantastic opportunity for everyone from experienced divers to people who have never even been swimming before. Any fears of the water will be quickly washed away by the incredible underwater scenery on offer. There are many charter boats that offer different services – read the brochures to ensure that you find one to suit your needs. Most reef tours offer diving for beginners, but there’s always the option of snorkeling for those who don’t like the idea of breathing underwater. For those dead set against getting their hair wet, many reef charters offer glass bottomed boat tours, allowing you to soak up the sunshine and still get the reef experience. Some also have glass submarines, taking you right down in amongst the action. The boats and subs are able to travel further afield, and to deeper areas, so keep an eye out for (mostly harmless) sharks and very old sea turtles! 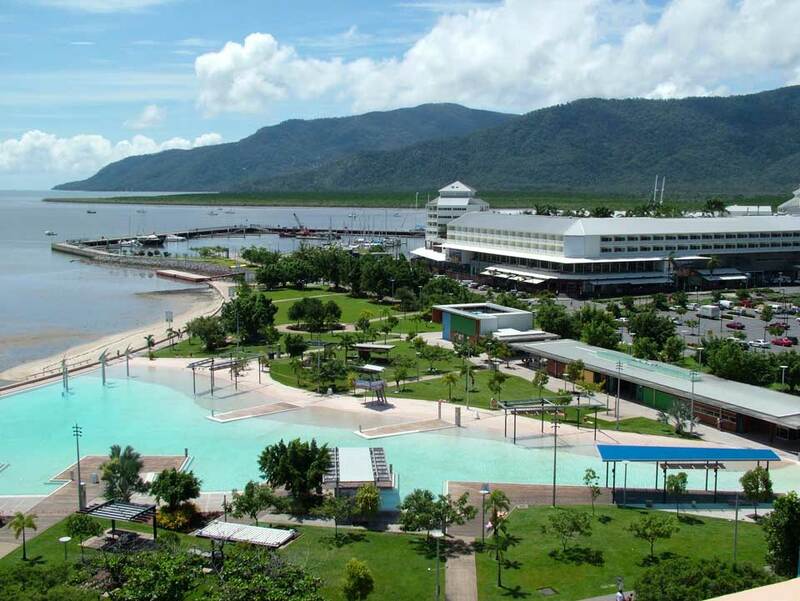 Cairns is located in the tropics and the weather is usually very reliable, making it a great all-year-round tourist destination. One of the best things about Cairns is its proximity to everything – take a boat to the reef, or take a van rental to the rainforest. As amazing as the Great Barrier Reef is, the Daintree Rainforest can match it. A van rental from Cairns will let you do the 2-3 hour drive up the rainforest and explore every second of this incredible place at your own leisure. On the way to the Daintree, make sure you take advantage of your Cairns van rental and stop off at Port Douglas, an incredible coastal town with beautiful beaches and a relaxed, sleepy vibe. The market is well worth a look – it is full of wonderful, locally made goods, arts and crafts. This is the perfect place to pick up some gifts for your loved ones to take home with you, and don’t forget to buy yourself something too!